If you’re a department store, you have a lot you need to communicate to customers who visit your store. Do you need to increase foot traffic into your store? Then you’re probably going to need a sign that tells customers what sales are going on. You’re also going to need to help customers navigate your department store, so department signs and directional signs are a must-have. Plus, customers will need to know where to go in case of an emergency, so fire and emergency exit signs are absolutely crucial. Whether you need clear and simple directional signs, or signs that add a little pizzazz to your department store, place your signage needs in the capable hands of Bartush Signs. For your department store to succeed, you need to be able to convey the proper messages to shoppers. Low quality signs just won’t cut it. 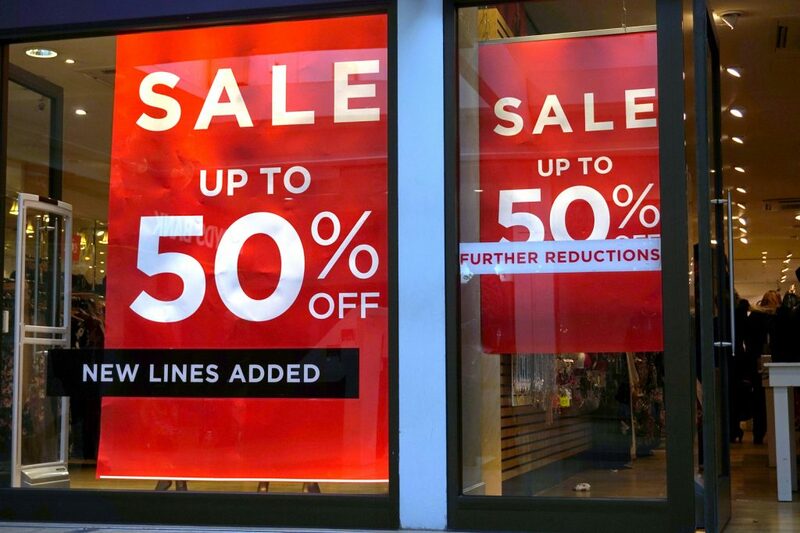 We specialize in high-quality department store signage that is an effective investment for your store. At Bartush Signs, we have experienced sign professionals who can craft signage exactly to your store’s specifications. With numerous materials to choose from, we offer customers options to allow for ultimate customer satisfaction. We want you to be satisfied so you can focus on your own customers. Whatever type of sign you’re shopping for, trust Bartush Signs for all your sign solutions. Contact us to start planning your store’s signage today, or more examples of our custom sign work, check out our portfolio pages! Let Bartush Help You With Your Sign Shopping! Don’t settle for subpar deals with another sign manufacturer. If you’re interested in a high-quality sign for your store, please fill out the form below and a member of our team will reach out as soon as possible. For a more detailed form, please contact us here.